On 20 May 2003, Robinson R44 Raven II s/n 10082 was registered G-RUZZ in the UK with Heli Air Ltd., Warwick. On 1 September 2003, the G-RUZZ was registered with Russel Harrison PLC, Southam. On 10 April 2013, Raven II G-RUZZ was registered with Startrade Heli GmbH and Co KG, Burbach, Germany. On 10 April 2013, registration G-RUZZ was cancelled as exported to the Netherlands. 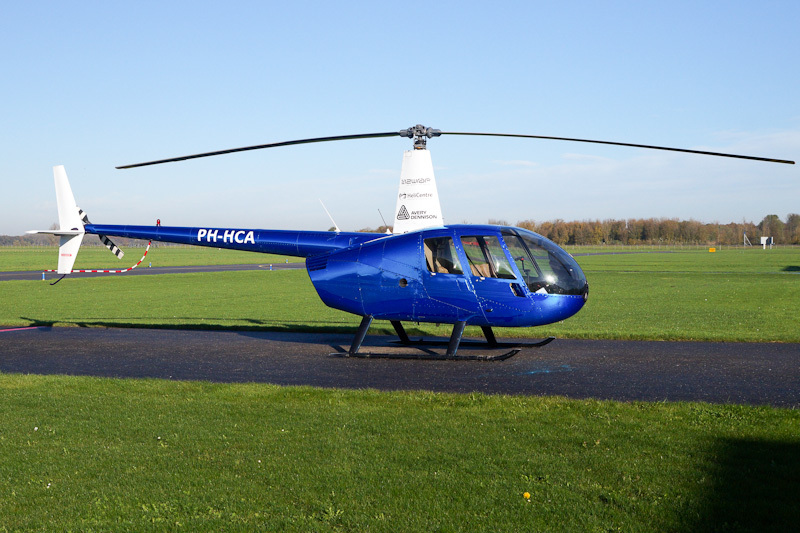 On 12 April 2013, the 2003-built Robinson R44 Raven II was registered PH-HCA with Lelycopters Beheer BV, Lelystad and entered service with HeliCentre. On 5 December 2013, the registered owners name changed to HeliCentre beheer BV, Lelystad. On 31 March 2016, registration PH-HCA was cancelled as exported to China. When seen at Lelystad Airport, Robinson R44 Raven II PH-HCA wear 2wrap; HeliCentre and Avery Dennison titles.